You don’t need to purchase expensive wall art or sun catchers for your windows. 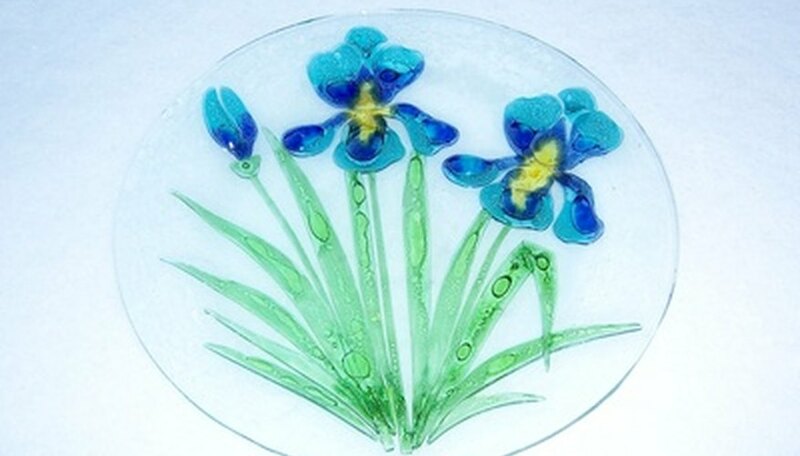 All you need to do is repurpose glass plates you no longer use. You could also pick up some lovely items at flea markets or yard sales. From there, you must simply drill some small holes in the edges of the plates so you can connect them or hang them separately. While drilling glass is, at best, a tricky endeavor, it’s nothing to be afraid of. If you have plenty of patience and the right tools, you can create recycled art from glass plates. Slip a ¼ inch drill bit into your hand drill. Hardware stores sometimes sell pointed and hardened bits especially for cutting glass. If you can’t find one of these, sharpen an ordinary drill bit with a metal file and heat it to a cherry red color in a flame to harden it. Place your glass plate on top of a piece of scrap plywood. Make a dot with permanent marker where you want your hole to be. Make sure the plywood and plate lie on a sturdy, level surface. Roll a quarter-sized piece of wood putty into a rope. Bend the rope into a circle and place it on your glass plate so the marker dot is in the center of the clay circle. Press the clay down lightly, pinching it to form a small wall. Pour a little turpentine into the middle of your putty circle. The turpentine should just barely cover the glass; the putty will hold it in. The turpentine acts as a lubricant for the drill. Place the point of your drill bit on your marker dot. Do not push as the drill spins; let the weight of the drill and the bit do their work. Keep the drill straight to prevent snapping the bit or shattering your glass. Pull the drill out of the hole every 30 seconds or so to let the turpentine flow into the hole, adding more lubrication to your work. Continue until the bit drills all the way through the glass.